Fresh, Clean & Verde. 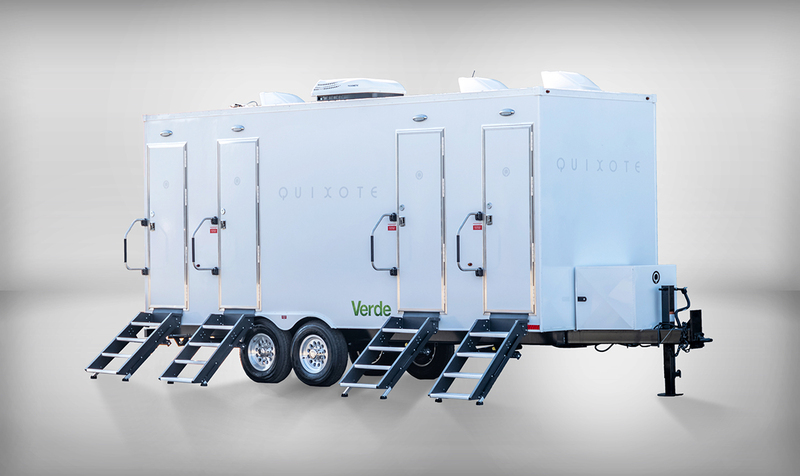 Our new, high-end, 4 room Q-loo Verde restroom trailers provide you with all the comforts of your home bathroom, on location. The New Standard in Eco-Friendly restroom Trailers. For your most discerning clients. Ride in style and go green. Now offering pumping service for your set, or event. Anytime, day or night.